Good news for those who dislike meddling with CSS rules. 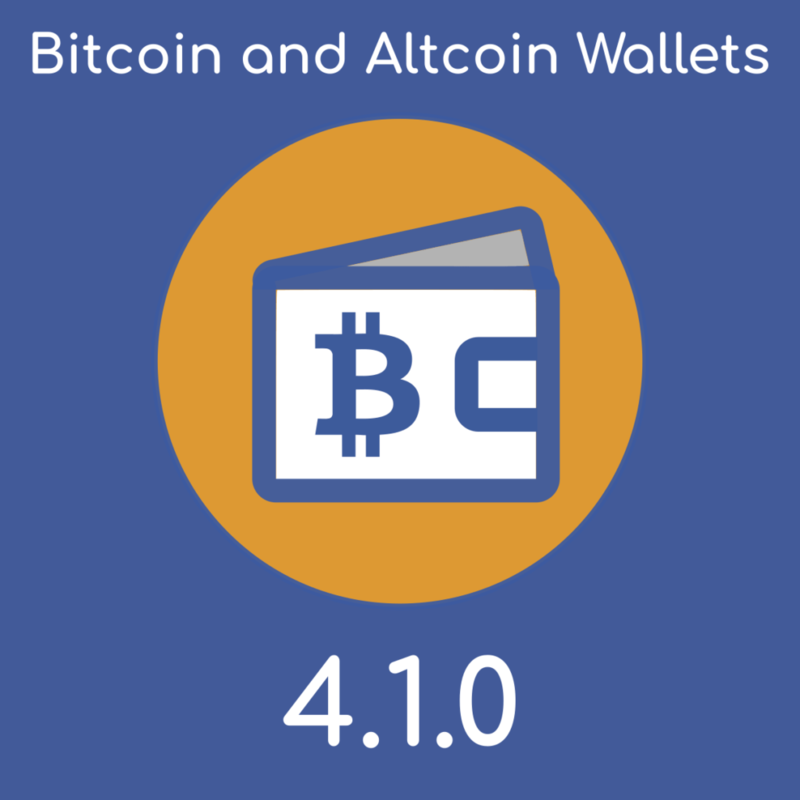 Version 4.1.0 of Bitcoin and Altcoin Wallets includes Customizer integration. A big chunk of CSS styling for the front-end UIs that was previously static, is now dynamic. The new Customizer settings only affect the parent plugin, not its extensions. There will be a subsequent release for integrating Customizer into the Exchange extension and to other extensions. Currently you can affect three groups of UI styles: Borders, text, and icons. Easily control the line style, line width, and color. Expand or reduce the padding inside the boxes. Add a box shadow behind the boxes to give a 3D appearance. For shadows, you can control the x and y offsets, shadow color and blur radius. Control the default font size and color for text that appears in UIs. Also, control the default font size and color for heading texts separately. 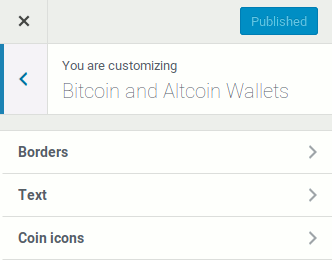 You can now choose easily the size of the coin icons displayed on the frontend. You may also add a drop shadow to the logos if you like. You can control the x and y offset, blur radius and shadow color. We appreciate all the work you are putting in to this excellent plug-in.